Ryman Auditorium Concert with Jessie Colter. Waylon Jennings Songs and lyrics personified the outlaw movement of the 70s. With his anti-Nashville, updated honky-tonk style, Waylon became a superstar. Waylon Jennings was born in Littlefield, Tx where he learned how to play the guitar by the time he was eight. Waylon left school, spent a few years picking cotton and moved to Lubbock, Tx in 1954. 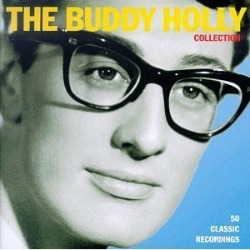 While in Lubbock he got a job at a radio station where he met Buddy Holly during one of the station's shows. Buddy became Waylon's mentor, teaching him guitar licks. The day the music died - Waylon's final performance. In late 1958 Waylon became the temporary bass player for Buddy Holly's band, the Crickets. 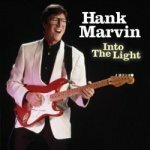 He played with Buddy on his final tour called the "Winter Dance Party" on February 2nd, 1959. It was at the Surf Ballroom in Clear Lake, Iowa that Waylon would play his last music with Buddy Holly. Buddy would die in an early morning plane crash on February 3, 1959, along with Richie Valens, J.P. Richardson, aka "The Big Bopper" and the pilot. Waylon Jennings gave up his seat on the plane, causing Holly to jokingly tell Jennings, "I hope your ol' bus freezes up!" Jennings jokingly shot back, "Well, I hope your ol' plane crashes!" It was a statement between friends that would haunt Waylon for decades. Singer Don McLean referred to it as "The Day the Music Died" in his song "American Pie." Waylon Jennings would continue to perform until his death in 2002 in what will remain one of American music's most remarkable careers. A grand celebration and final hurrah for one of country music's great legends. Please enjoy this song with his wife Jessie Colter performed in January 2000 at the Ryman Auditorium in Nashville. It would not be his last concert (that came the following year in Kansas City), but it was sort of a grand celebration, a final hurrah, played out before a hugely appreciative audience in this most famous country music auditorium. It was nice watching this performance with Jessie Colter in one of the final concerts of one of country music's greatest legends. 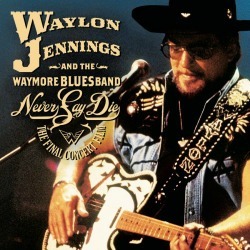 I still have my Waylon Jennings albums I purchased in the 70s and still love his music today as I did forty years ago. God bless you Waylon, thanks for the memories. Jennings won election to the Country Music Hall of Fame in 2001 and died on February 13, 2002. Please continue to check back here as I have more music updates and my favorite Waylon Jennings songs and lyrics to be added. Visit The Highwaymen pages here. Visit the Amazon Waylon Jenning Store. See all 207 Waylon Jennings albums in one location. 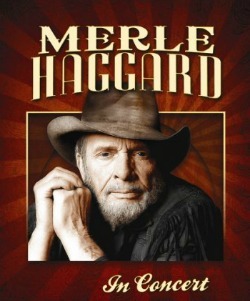 Visit the Merle Haggard Amazon store.